Z A C H Q.
Tread Orthopaedics is owned and operated by certified Pedorthist Zach Quesnelle. Having completed an honours undergraduate degree in Kinisiology at Wilfrid Laurier University, Zach then completed his post-graduate studies at Western University, where he received his honours graduate diploma in pedorthics with distinction. 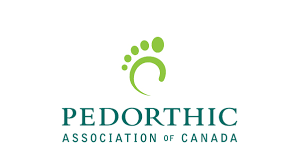 Zach passed his PAC (Pedorthic Association of Canada) certification in December of 2016. Zach grew up in Tiny Township and has deep roots in the many neighbouring communities he calls home. It is for this reason that Zach has decided to open a clinic in Midland, ON. Internationally, Zach is committed to the global community in his dedication and donation to climate change protection initiatives. As a member of POW (Protect Our Winters), Zach is committed to the education and preservation of both local and global natural resources. It is a blend of passion and profession that prompted Zach to create Tread Orthopaedics; a community based, eco-conscious pedorthic practice. Combining strong interests in health sciences, orthoses fabrication and environmental sustainability, Tread Orthopaedics offers a new perspective to an old body of thought. Tread Orthoapedics will assist in aiding or correcting pathologies of the musculoskeletial system from the hips down. As a fabricator, Zach has gathered a significant amount of experience in a short span of time. Offering both traditional and non-traditional device styles, Tread Orthopaedics prides itself on offering a diversified treatment approach. To know more about us, we encourage all interested individuals to pay us a visit. We pride ourselves on being the most hospitable non-hospital around, and would be happy to answer any questions you may have.